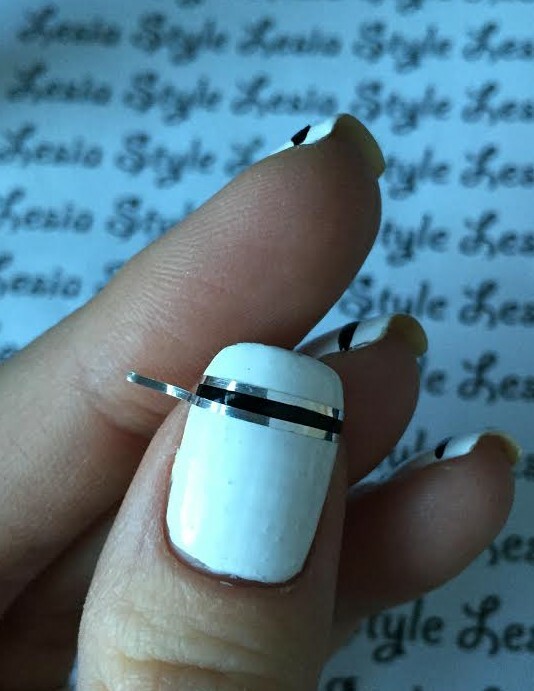 Do you remember in previous post I showed you how to do nail design using tape for nail art. 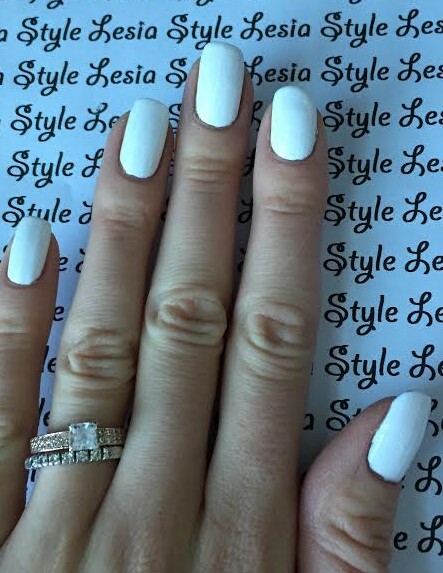 That time after tape did its purpose we removed it, today I'm going to show you nail design in which we incorporate it. 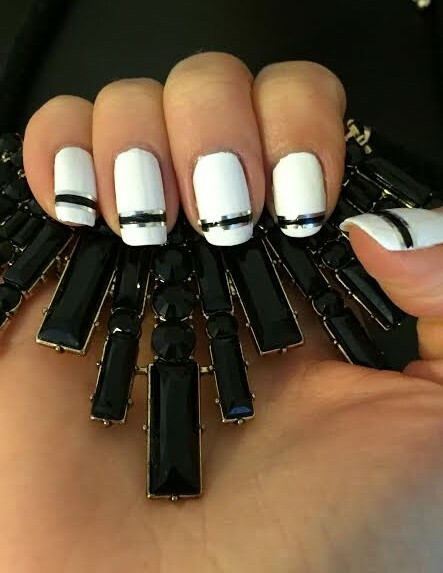 To do this nail design you need base coat, any black and white nail polish, tape for nail art, scissors and top coat. 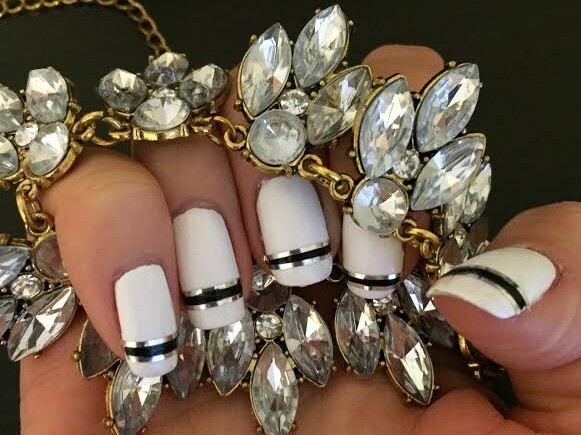 Apply base color and two coats of white nail polish. 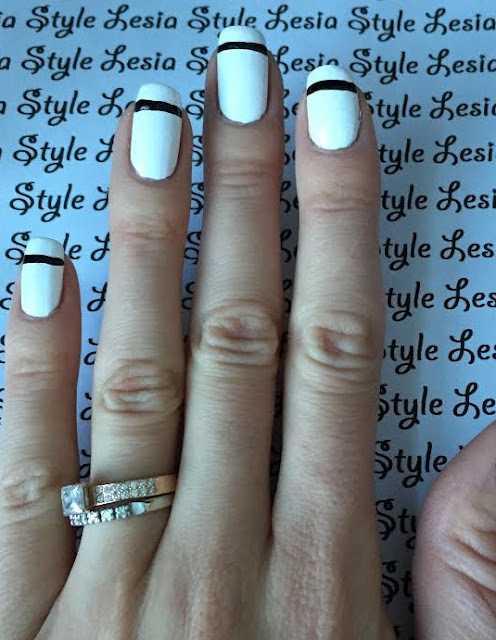 Using thin brush paint black horizontal line. Cut two pieces of tape and apply them on each side of the black line. 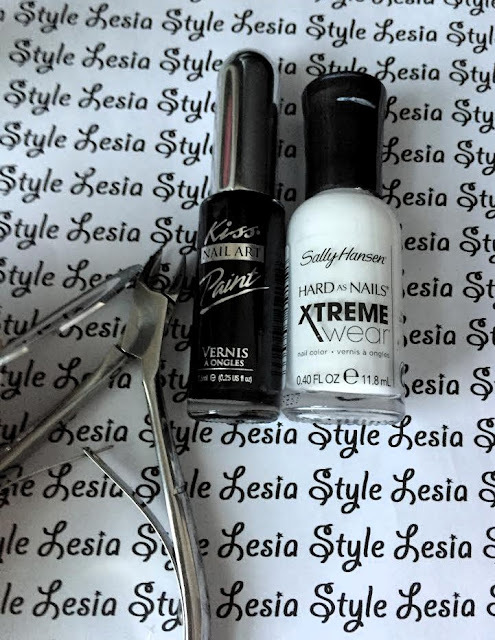 Apply top coat and enjoy your new nail design. Also want to mention that I love working with tape. Its super easy. If you put it not straight you can peel it and apply again. My advice is to put tape after nail polish is completely dry, and when you satisfied with everything apply top coat. PS My white nail polish was old so it turned out bubbly, but I really liked this design so decided to share with you anyway. Also my computer broke, so my photo might be not formatted correctly.